The South Bay Lakers are an American professional basketball team of the NBA G League, based in Los Angeles. Founded in 2006 as the Los Angeles D-Fenders, the team is owned by the Los Angeles Lakers, who were the first National Basketball Association (NBA) franchise to own a D-League team. At the conclusion of the 2016–17 D-League season, the D-Fenders re-branded as the South Bay Lakers for the G League. They also moved their home games from the Toyota Sports Center into the UCLA Health Training Center, a new practice facility for the Los Angeles Lakers in El Segundo. The NBA G League, or simply the G League, is the National Basketball Association's (NBA) official minor league basketball organization. The league was known as the National Basketball Development League (NBDL) from 2001 to 2005, and the NBA Development League from 2005 until 2017. The league started with eight teams until NBA commissioner David Stern announced a plan to expand the NBA D-League to fifteen teams and develop it into a true minor league farm system, with each NBA D-League team affiliated with one or more NBA teams in March 2005. At the conclusion of the 2013–14 NBA season, 33% of NBA players had spent time in the NBA D-League, up from 23% in 2011. As of the 2018–19 season, the league consists of 27 teams, all of which are either single-affiliated or owned by an NBA team. The Pacers–Pistons brawl was an altercation that occurred in a National Basketball Association (NBA) game between the Indiana Pacers and the Detroit Pistons on November 19, 2004, at The Palace of Auburn Hills in Auburn Hills, Michigan. The Associated Press (AP) called it "the most infamous brawl in NBA history", while the media has dubbed it the "worst night in NBA history". 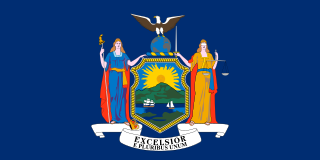 La Salle Academy is a private, all boys high school in the New York City borough of Manhattan. Artest played college basketball at St. John's University from 1997 to 1999. At St. John's, he majored in mathematics. In 1999, he led the Red Storm to a 14-4 record in the Big East Conference and 28-9 overall and the Elite Eight of the NCAA Division I Tournament, losing to Ohio State. The Ohio State men's basketball team represents Ohio State University in NCAA Division I college basketball competition. The Buckeyes are a member of the Big Ten Conference. The Buckeyes share a classic rivalry with the Michigan Wolverines, in which OSU has a 97–77 series lead. Artest gained fame playing in some of New York City's high-profile summer basketball tournaments at Nike Pro City, Hoops in the Sun at Orchard Beach, Bronx, New York and Dyckman Park at Washington Heights, earning himself nicknames such as Tru Warier  and The New World Order, a name he received from Randy Cruz (one of the co-founders of the Hoops In The Sun basketball league at Orchard Beach). 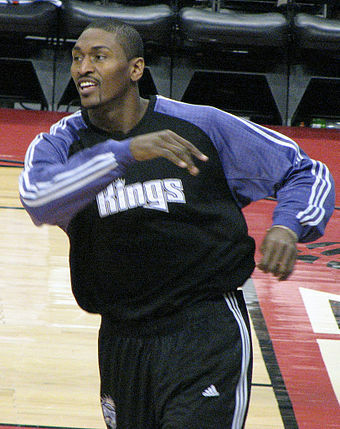 After the playoffs, Artest offered to donate his entire salary to keep teammate Bonzi Wells with the team, who became a free agent after the 2005–06 NBA season. He even jokingly threatened to kill Wells if he did not re-sign with the Kings. Wells was later picked up by the Houston Rockets and then traded to the New Orleans Hornets for former Sacramento Kings player Bobby Jackson. Artest also offered to donate his salary to retain the services of head coach Rick Adelman, whose contract expired after the same season. Adelman and the Kings did not agree on a contract extension so the two parted ways. In Game 5 of the 2010 Western Conference Finals, Artest hit a game-winning shot at the buzzer after grabbing a last second offensive rebound. He scored 25 points against the Phoenix Suns in Game 6 and went to the NBA Finals for the first time in his career. In the finals, the Lakers defeated the Boston Celtics, four games to three. Artest scored 20 points in the clincher and sank the team's last field goal – a three-pointer late in the fourth quarter – to virtually seal the victory. Afterwards, Lakers head coach Phil Jackson called Artest the most valuable player of Game 7 against the Celtics. He won his first championship ring with the Lakers. In January 2018, it was announced that World Peace was a contestant in the first U.S. edition of Celebrity Big Brother . Metta became the fourth celebrity to be evicted from the house on Day 20. He also appeared in the second season as part of a Head of Household competition. The brawl began when Artest fouled Pistons center Ben Wallace as Wallace was putting up a shot. Wallace, upset at being fouled hard when the game was effectively over (the Pacers led 97–82 with less than 50 seconds to go), responded by shoving Artest, leading to an altercation near the scorer's table. Artest walked to the sideline and lay down on the scorer's table. Reacting to Wallace throwing something at Artest, Pistons fan John Green threw a cup of Diet Coke  at Artest, hitting him. Artest jumped into the front-row seats and confronted a man he incorrectly believed to be responsible, which in turn erupted into a brawl between Pistons fans and several of the Pacers. Artest returned to the basketball court, and punched Pistons fan A.J. Shackleford, who was apparently taunting Artest verbally. This fight resulted in the game being stopped with less than a minute remaining. Artest's teammates Jermaine O'Neal and Stephen Jackson were suspended indefinitely the day after the game, along with Wallace. Lamar Joseph Odom is an American professional basketball player. 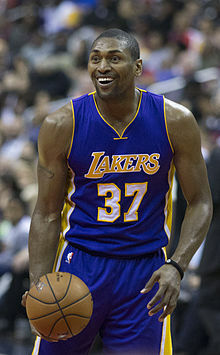 As a member of the Los Angeles Lakers in the National Basketball Association (NBA), he won NBA championships in 2009 and 2010 and was named the NBA Sixth Man of the Year in 2011. Bobby Jackson is an American retired professional basketball player. He currently serves as an assistant coach for the Sacramento Kings of the National Basketball Association (NBA). Bradley Alan Miller is an American former professional basketball player. The two-time NBA All-Star played for six National Basketball Association (NBA) teams. The 1999 NBA Draft was held on June 30, 1999, at the MCI Center in Washington, D.C. It was the first draft in which four players from the same college were picked in the first round, with Elton Brand, Trajan Langdon (11th), Corey Maggette (13th) and William Avery (14th) being selected out of Duke University. It is widely viewed as one of the best draft classes, with a total of nine future NBA All-Stars being chosen, as well as three winners of the NBA Sixth Man of the Year Award—Manu Ginóbili, Jason Terry, and Lamar Odom. Undrafted Pablo Prigioni made his NBA debut at 2012/2013 season as the oldest rookie in league history, at age 35. The J. Walter Kennedy Citizenship Award is an annual National Basketball Association (NBA) award given since 1975 to a player, coach, or staff member who shows "outstanding service and dedication to the community." The award is named in honor of James Walter Kennedy, the second commissioner of the NBA. The winner is selected by the Pro Basketball Writers Association (PBWA). The PBWA represents writers for newspapers, magazines and internet services who cover the NBA on a regular basis. Members of the PBWA nominate players for the award, and then a vote is taken by approximately 150 PBWA members. The person with the highest point total wins the award. The award is usually given to a person who made a substantial charitable contribution. For instance, Kevin Garnett received the award in 2006 after donating $1.2 million toward the Hurricane Katrina relief efforts. 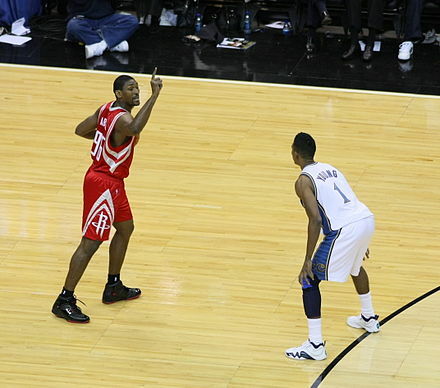 The 2008–09 Houston Rockets season was the 42nd season of the franchise in the National Basketball Association (NBA). Despite a season-ending knee injury to Tracy McGrady, the Rockets breezed past the Portland Trail Blazers in the first round, but could not defeat the Los Angeles Lakers in the second round. Dikembe Mutombo, who entered his 18th and final season, was injured in Game 2 of the first round and announced his retirement, ending his 18-year NBA career. Besides losing Mutombo, Yao Ming missed most of the second round due to a foot injury that required off-season surgery. Before the season, the team acquired Ron Artest, who was known for his violent temper. Following the season, Artest signed as a free agent with the Lakers. The Rockets would not return to the postseason until 2013. The 2004–05 NBA season was the Pacers' 29th season in the National Basketball Association, and 38th season as a franchise. The Pacers finished third in the Central Division with a 44–38 record. This season also marked the final season for All-Star guard Reggie Miller. The 2005–06 Indiana Pacers season was the 30th season completed by the Indiana Pacers in the National Basketball Association (NBA). Paul Cliftonantho George is an American professional basketball player for the Oklahoma City Thunder of the National Basketball Association (NBA). He is a six-time NBA All-Star and four-time All-NBA Team selection, as well as a three-time member of the NBA All-Defensive Team. The 2003–04 NBA season was the Pacers' 28th season in the National Basketball Association, and 37th season as a franchise. During the offseason, former Pacers head coach Larry Bird was named President of Basketball Operations. One of Bird's first moves in his new position was to fire head coach Isiah Thomas, after Thomas had led the Pacers to first-round playoff exits for three consecutive years. The defensive-minded Rick Carlisle, former head coach of the Detroit Pistons, was announced as Thomas' replacement. Also during the offseason, the Pacers acquired Scot Pollard from the Sacramento Kings in a three-team trade and signed free agent Kenny Anderson. ↑ Aasen, Adam (February 10, 2005). "The man behind the melee". Indiana Daily Student . Archived from the original on December 9, 2013. Retrieved April 11, 2010. 1 2 "Ron Artest Bio Page". NBA.com. November 13, 1979. Retrieved December 29, 2010. ↑ A wild and crazy night: Kobe gets tough, Artest gets angry and the NBA has some decisions to make. Retrieved on May 7, 2009. ↑ Player Dies in Stabbing at Basketball Game. Nytimes.com (April 15, 1991). Retrieved on April 27, 2012. ↑ Ron Artest Pro and College Stats Archived September 27, 2007, at the Wayback Machine . Databasebasketball.com (November 13, 1979). Retrieved on April 27, 2012. ↑ "Ron Artest". TruWarier.com. Retrieved December 29, 2010. ↑ Tim Davenport, "A Ron Artest Review: The Soap Opera So Far", Silver Screen and Roll, July 4, 2009. ↑ "Fan details strides made since brawl". ESPN.com. November 19, 2009. Retrieved November 19, 2009. 1 2 "Artest, Jackson charge Palace stands". ESPN.com . November 21, 2004. ↑ "Suspensions without pay, won't be staggered". ESPN. November 22, 2004. Retrieved June 2, 2012. ↑ 'Betrayed' Bird says Artest must go – December 27, 2005. MSNBC (December 27, 2005). Retrieved on April 27, 2012. 1 2 Kahn, Mike (March 14, 2006). "Artest has Kings back in playoff hunt". Fox Sports . Archived from the original on May 24, 2006. ↑ NBA Preview – Lakers At Kings – March 14, 2006. Sports.espn.go.com (March 14, 2006). Retrieved on April 27, 2012. ↑ Amick, Sam (July 9, 2006). "Q & A: Artest hits the road and the hardwood". The Sacramento Bee . p. C1. Archived from the original on May 12, 2008. ↑ Rockets agree to send pick, Greene, Jackson to Kings for Artest. Sports.espn.go.com (July 31, 2008). Retrieved on April 27, 2012. ↑ "It's official: Rockets acquire Ron Artest in blockbuster trade". NBA.com . Retrieved August 14, 2008. ↑ Feigen, Jonathan (July 30, 2008). "Despite Yao's comments, Artest seems happy about future". Houston Chronicle . Retrieved August 14, 2008. ↑ Feigen, Jonathan (August 15, 2008). "Rockets hoping Artest ends playoff drought". Houston Chronicle. Retrieved December 29, 2010. ↑ "Rockets down Blazers, advance to second round for first time in 12 years". CBS Sports. May 1, 2009. Retrieved May 1, 2009. ↑ Sheridan, Chris. League also looking at Celtics-Magic, May 7, 2009. Retrieved September 4, 2010. ↑ "Artest not suspended for Game 4, foul downgraded". NBA.com. May 9, 2009. Retrieved December 29, 2010. ↑ "Lakers officially sign Ron Artest". July 7, 2009. Archived from the original on July 11, 2009. Retrieved July 7, 2009. ↑ Stein, Marc (July 2, 2009). "Artest says he's leaving Rockets for LA" . Retrieved July 2, 2009. ↑ "NBA free agents: Ron Artest gets his wish, finally becomes a Los Angeles Laker". ESPN. July 8, 2009. Retrieved December 29, 2010. ↑ "Aretest, Brown sign contracts". July 8, 2009. Retrieved July 8, 2009. ↑ "Boston Celtics vs. Los Angeles Lakers – Box Score – June 17, 2010 – ESPN". ESPN. June 17, 2010. Retrieved July 7, 2010. ↑ Dwyer, Kelly (June 18, 2010). "Lakers take Game 7, win back-to-back titles". yahoo.com. Archived from the original on February 21, 2011. ↑ Solomon, Jerome (June 18, 2010). "Artest was Game 7 MVP for Lakers". The Houston Chronicle . Archived from the original on February 21, 2011. ↑ "Ron Artest switching to No. 15 Lakers jersey". ocregister. August 20, 2010. Archived from the original on August 22, 2010. Retrieved August 20, 2010. ↑ McMenamin, Dave. "Ron Artest wins citizenship award". ESPN. Retrieved April 26, 2011. ↑ McMenamin, Dave (January 26, 2012). "World Peace declining? Nah, just "bored"". ESPN.com. Archived from the original on February 14, 2012. ↑ Berger, Ken (February 11, 2012). "Lakers, World Peace struggling to adjust to Brown and vice versa". CBSSports.com. Archived from the original on February 14, 2012. ↑ McMenamin, Dave (April 22, 2012). "Metta World Peace ejected for elbow". ESPN.com. Retrieved April 22, 2012. ↑ Mayberry, Darnell (April 22, 2012). "OKC Thunder: James Harden faces rigorous evaluation, uncertain return to court after concussion". NewsOK. Retrieved April 22, 2012. ↑ Medina, Mark (April 22, 2012). "Metta World Peace apologizes for ejection, doesn't take questions". Los Angeles Times. Retrieved April 23, 2012. ↑ "Metta World Peace suspended for 7". ESPN.com. April 24, 2012. Retrieved April 24, 2012. 1 2 McMenamin, Dave (March 17, 2013). "Metta World Peace feeling, playing better". ESPN.com. Archived from the original on April 12, 2013. ↑ Pincus, Eric (March 26, 2013). "Metta World Peace out with torn meniscus in left knee". Los Angeles Times. Archived from the original on April 10, 2013. ↑ Rohlin, Melissa (March 28, 2013). "Ready for surgery, Metta World Peace tweets he's ready to play". Los Angeles Times. Archived from the original on April 10, 2013. ↑ McMenamin, Dave (April 9, 2013). "Rapid Reaction: Lakers 104, Hornets 96". ESPN.com. Archived from the original on April 10, 2013. ↑ McMenamin, Dave (April 9, 2013). "Metta World Peace details his recovery". ESPN.com. Archived from the original on April 10, 2013. ↑ "Dwight Howard ejected as Spurs finish sweep of Lakers". ESPN.com. Associated Press. April 28, 2013. Archived from the original on April 29, 2013. ↑ "Spurs send Lakers to worst home playoff loss, brink of elimination". ESPN.com. Associated Press. April 26, 2013. Archived from the original on April 28, 2013. ↑ McMenamin, Dave (April 27, 2013). "Lakers depleted again for Game 4". NBA.com. Archived from the original on April 28, 2013. 1 2 McMenamin, Dave (May 6, 2013). "2012-13 Lakers Report Card: Starting five". ESPN.com. Archived from the original on May 7, 2013. ↑ "Lakers Waive Metta World Peace Under Amnesty Provision". NBA.com. Turner Sports Interactive, Inc. July 11, 2013. Retrieved July 15, 2013. ↑ "Metta World Peace eyes future". ESPN.com. July 9, 2013. Retrieved July 15, 2013. ↑ "Knicks Sign Metta World Peace". NBA.com. Turner Sports Interactive, Inc. July 16, 2013. Archived from the original on July 18, 2013. Retrieved July 16, 2013. ↑ "Knicks Waive Metta World Peace And Beno Udrih". NBA.com. Turner Sports Interactive, Inc. February 24, 2014. Archived from the original on March 3, 2014. Retrieved February 24, 2014. ↑ "Knicks buy out Metta World Peace". ESPN.com. February 24, 2014. Retrieved February 24, 2014. ↑ Ben Golliver. "Knicks release Metta World Peace, Beno Udrih". 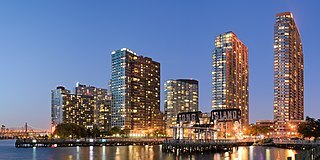 SI.com. Retrieved August 25, 2015. ↑ "Metta World Peace officially signs with Sichuan Blue Whale". Sportando.com. August 4, 2014. Retrieved August 4, 2014. ↑ "Daniel Orton joins CBA to replace Metta World Peace". Global Times. Xinhua. December 10, 2014. Archived from the original on December 13, 2014. ↑ "Pallacanestro Cantù announces Metta World Peace". Sportando. March 24, 2015. Retrieved August 25, 2015. ↑ "Metta World Peace, a.k.a. The Panda's Friend, was ejected from final game of Italian season – SportsNation – ESPN". ESPN.com. Archived from the original on July 22, 2015. Retrieved August 25, 2015. ↑ "Metta World Peace won't return to Cantù, GM says". Sportando. July 20, 2015. Retrieved August 25, 2015. ↑ "Lakers Sign Metta World Peace". NBA.com. September 24, 2015. Retrieved September 24, 2015. ↑ "Bryant, Lakers beat winless Nets for 1st victory". NBA.com. November 6, 2015. Retrieved November 10, 2015. 1 2 Singh, Ramneet (November 8, 2015). "Kobe Bryant On Metta World Peace: 'Raises The Play Of Everybody On The Floor'". LakersNation.com. Retrieved November 10, 2015. ↑ "Lakers Sign Metta World Peace". NBA.com. September 21, 2016. Retrieved September 23, 2016. 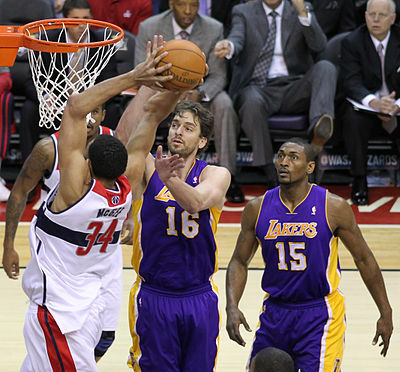 ↑ "Metta scores 18 in possible farewell, Lakers top Pels 108-96". ESPN.com. April 11, 2017. Retrieved April 12, 2017. ↑ "THE NEW ORLEANS GATORS SIGN METTA WORLD PEACE FORMERLY KNOWN AS RON ARTEST". neworleansgators.com. August 25, 2017. Retrieved September 30, 2017. ↑ "South Bay Lakers Hire Metta World Peace as Player Development Coach". NBA.com. October 23, 2017. Retrieved October 23, 2017. ↑ Ganguli, Tania (October 23, 2017). 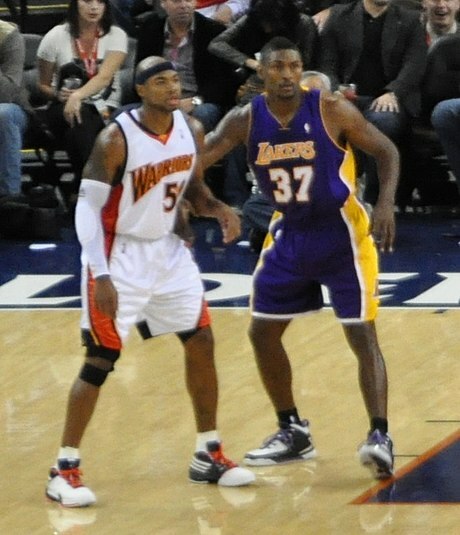 "Metta World Peace rejoins Lakers organization in new role for fan favorite". LATimes.com. Retrieved October 23, 2017. ↑ Peter, Josh (June 21, 2018). "Ron Artest is back: Metta World Peace turns back clock in BIG3 league". USA Today. ↑ Vlessing, Etan (April 1, 2010). "Ron Artest to get own reality series". The Hollywood Reporter. Archived from the original on April 4, 2010. Retrieved April 5, 2010. ↑ Lovable Badass: Artists on Artest. Lovablebadass.blogspot.com (December 28, 2010). Retrieved on April 27, 2012. ↑ Feschuk, Dave (December 19, 2010). "Art show on Artest overwhelms the Lakers forward – Toronto Star, Canada". The Star. 1 2 Shelburne, Ramona (September 1, 2011). "Ron Artest talks name-change holdup". ESPNLosAngeles.com. Archived from the original on November 12, 2011. ↑ Halterman, Alexandra (June 19, 2017). "Hear Metta World Peace 'Roar': Lakers Star Does His Best Katy Perry on 'Lip Sync Battle'". Billboard. Retrieved March 6, 2019. ↑ Hearon, Sarah (January 28, 2018). "'Celebrity Big Brother' Cast Revealed". Us Weekly. Retrieved February 7, 2018. ↑ "Outside Metta World Peace's home, real cops confront fake gunmen". Los Angeles Times. February 20, 2013. Retrieved February 22, 2013. ↑ "Ron Artest speaks candidly about mental health – ESPN Los Angeles". sports.espn.go.com. Retrieved December 23, 2010. ↑ "Los Angeles Lakers' Ron Artest to donate salary to mental health charity – ESPN Los Angeles". sports.espn.go.com. Retrieved December 23, 2010. ↑ Lloyd, Jonathan (July 25, 2013). "Metta World Peace Returns to LA on PETA Billboard". nbclosangeles.com. "NBC4". Retrieved October 18, 2015. ↑ Wilbon, Michael (January 26, 2006). "In Artest, Sacramento Gets A King-Size Nuisance". The Washington Post . p. E01. 1 2 3 "Artest Timeline: Ron-Ron's troubled past". ESPN.com . March 22, 2007. ↑ Greenberg, Steve (December 2, 2009). "SN Conversation with Ron Artest: 'I used to drink Hennessy at halftime'". sportingnews.com . Retrieved December 2, 2009. ↑ "Artest aiming to be ready for playoffs". ESPN.com . February 23, 2004. ↑ Alipour, Sam (October 4, 2006). "Road trippin' with Tru Wariers". ESPN Page 2. Retrieved October 31, 2014. ↑ "Palace brawl lives in infamy 1 year later". MSNBC. November 26, 2005. Archived from the original on April 18, 2012. ↑ "Kings suspend Artest after domestic violence arrest". ESPN.com . March 6, 2007. ↑ Amick, Sam (March 10, 2007). "Kings reinstate teary-eyed Artest after two-game absence". The Sacramento Bee . ↑ Watson, Matt (May 3, 2007). "Ron Artest Sentenced to 20 Days (He'll Likely Never Serve)" (FanHouse). AOL Sports Blog . ↑ "Jackson, Artest suspended following court pleas". ESPN.com . Associated Press. July 15, 2007. Retrieved July 15, 2007. 1 2 Bolch, Ben (September 16, 2011). "We have World Peace: Ron Artest gets name change". Los Angeles Times. Retrieved October 5, 2011. ↑ "Court approves Artest's name change to Metta World Peace". NBA.com . Associated Press. September 16, 2011. Archived from the original on March 14, 2014. Retrieved March 12, 2014. ↑ Feigen, Jonathan (August 9, 2008). "Rockets forward Artest thrives on competitive nature". Houston Chronicle. Retrieved September 17, 2011. ↑ "Ron Artest: I've Been Divorced for Years!". TMZ. July 25, 2011. Retrieved September 17, 2011. ↑ Lieber, Jill (October 26, 2005). "Artest puts himself to the test". USA Today. Retrieved September 17, 2011. ↑ "Artest Makes A Play For Custody Of His Son". NY Daily News. September 12, 2006. Retrieved September 17, 2011. ↑ Shannon, Kieran (January 29, 2017). "The Kieran Shannon Interview: Superman Jermaine Turner still going strong". IrishExaminer.com. Retrieved July 5, 2017. Wikimedia Commons has media related to Metta World Peace .